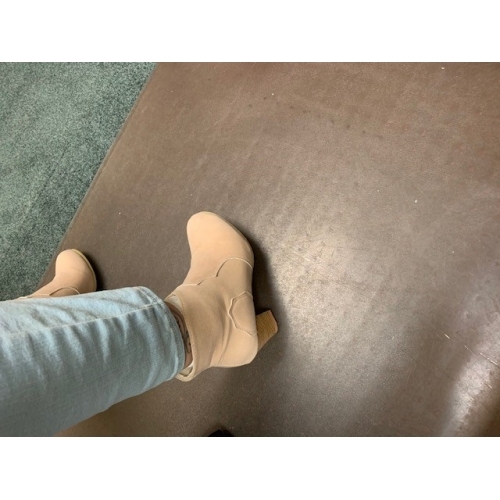 I received my boots in a great timely manner, and the quality of boots are good, they are very comfortable and the size of the heel is great, not to short and not to tall, Im enjoying them. I received my boots in a great timely manner, and the quality of boots are good, they are very comfortable and the size of the heel is great, not to short and not to tall, Im enjoying them. Todo perfecto. Tal y como se muestra. Envio rápido. Todo perfecto. Tal y como se muestra. Envio rápido. Really beautiful and love it. Thank you very much. Very sorry I am unable to upload photos from my gallery. Anyway very good item. Really beautiful and love it. Thank you very much. Very sorry I am unable to upload photos from my gallery. Anyway very good item. My order has been undertaken and shipped immediately. I received the products in a very short time but, unfortunately, it was the wrong size from the one that I ordered. However, I can say, that the shoes look very comfortable and made of soft leather. My order has been undertaken and shipped immediately. I received the products in a very short time but, unfortunately, it was the wrong size from the one that I ordered. However, I can say, that the shoes look very comfortable and made of soft leather.